The rise of smart phones has created a way of marketing that will soon become a standard for print media. You may have seen mobile QR (“quick response”) codes - what looks like distorted bar codes - on printed advertisements, real estate signs, or billboards. Some nonprofit organizations are already using these codes on their marketing pieces to drive people to their websites. Denso-Wave, a Japanese company, designed mobile QR codes in the mid-90's for tracking parts in the automotive industry. Standard bar codes have a limitation of ten digits while QR codes have the capacity to store up to 4,500 alpha-numeric characters and can be scanned omni-directionally (in any direction) The QR code’s ability to turn an image into a website link has made it a prime source for digital age marketing, particularly for mobile phone devices. 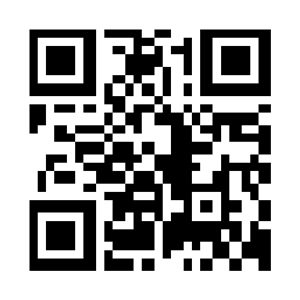 What value is the QR code on fundraising appeals for non-profit organizations? When the donor scans the code - printed on a donation appeal – your organization’s donation page immediately loads in the browser of the donor’s cell phone. The mobile QR code bypasses typing in a website address (URL) or navigating to your organization’s website, making giving easier and more likely. How many donors will take advantage of this opportunity? Consider that smart phone usage is up from ten percent at the beginning of 2009 to over twenty percent at the beginning of 2011 and continues to grow. Smart phones users currently must download an application in order to scan the QR code but industry insiders believe that QR-ready phones will be the standard in the near future. As more people use smart phones, mobile QR codes use may also simultaneously increase, making this a potentially transformative technology for marketing and fundraising. Marcia Feldman & Associates now can include mobile QR codes with any direct mail piece or other printed material at no extra cost to our clients. Call us today to discuss how QR codes and other enhancements can improve your fundraising campaigns and better connect your organization with donors. On January 29, Citizens for Animal Protection opened the doors to its new shelter, The Jane Cizik Center, for which Marcia Feldman & Associates ran the capital campaign. The Cizik Center is located at 17555 Katy Freeway and features a beautifully designed 21,000 square foot facility on a three and a half acre campus. Congratulations CAP on your new digs and keep up the good work with Houston's homeless pets! Committed to keeping Catholic education alive in the Archdiocese’s urban areas, 187 individuals and parishes have pledged $1.13 million to “The Cardinal’s Circle for Excellence”: a fund that will benefit Inner City Schools by bridging the financial gap between the income from tuition and what it costs to educate a child in an Inner City parochial school. Marcia Feldman & Associates worked with the Archdiocese to create the Cardinal's Circle and continues to facilitate fundraising efforts. Thank you to all the generous donors for supporting education in Houston. For this year's Boy Scouts of America year-end appeal, Marcia Feldman & Associates designed a letter that focused on diversity and featured a scouting family's success story. The appeal was a great success, with a fifty percent increase over last year's donation total. The Diocesan Services Fund mailing and marketing campaign has met the goal of twelve million dollars for the sixth consecutive year. Marcia Feldman & Associates created the design and copy, and managed production and mailing for more than a half a million direct mail pieces, as well as creating brochures and posters. DSF, which operates under the Archdiocese of Galveston-Houston, supports more than sixty charitable, educational and spiritual programs. Charity Guild Resale Shop: Open for Business! Charity Guild of Catholic Women dedicates a new facility for its ever popular and successful resale shop, located on Lovett Boulevard in Houston, Texas. In 2008, Charity Guild of Catholic Women embarked on an ambitious campaign to expand its resale shop's capacity from 19,800 square feet to 34,800 square feet to meet rising demand. The resale shop plays a significant role in the Charity Guild's support of local children's organizations and is wonderful way to recycle gently used goods as well as provide high quality merchandise to families in need. Marcia Feldman & Associates helped conduct the capital campaign as well as a phone-a-thon and direct mail campaign, raising over a million and half dollars. Congratulations Charity Guild of Catholic Women! Marcia Feldman & Associates welcomes a new client, Camp for All. Camp for All operates camps year-round where those with special needs and challenging illnesses can socialize and gain skills and independence while relaxing and having fun. In May 2008, Citizens for Animal Protection relaunched its website, with a crisp and cheerful redesign spotlighting an online donation form, news and blog columns, event listings, contact forms, and a host of other features. At the same time, CAP created an email newsletter that it mails out quarterly to supporters, with a message from the executive director Kappy Muenzer, featured adoptions, and highlighting organizational news and events along with informative articles about pet care and humane issues. The new website and e-newsletter have collectively helped to increase online donations by forty percent, despite the challenging economic climate. As CAP obtains funding for its operations solely from private contributions, the online marketing campaign is a great boon to Houston's homeless animals, more than 12,000 of which come through the shelter's doors annually. The Archdiocese of Galveston-Houston launches Cardinal's Circle to support Inner City Catholic Schools. Marcia Feldman & Associates will develop and produce the brochure and two mailings for the Archdiocese. According to the Texas Catholic Herald, "The program expands financial support for students from low-income families who are seeking a Catholic education. By enlisting at least 250 people to donate $5,000 yearly to “The Cardinal’s Circle,” the Archdiocese will provide tuition assistance to students in need and will establish a corpus of endowments to serve Inner City Catholic Schools in the future." Marcia Feldman & Associates welcomes Julia Ideson Library Preservation Partners. The Ideson Library is a historic library located in downtown Houston and the the Preservation Partners are working to build a state-of-the-art archival wing, strengthen the infrastructure of the original building, and create a welcoming environment, including a reading room and gardens.